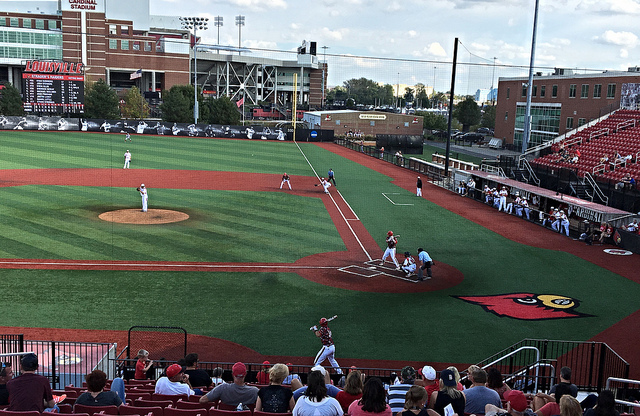 Jim Patterson Stadium-Louisville, KY: I’m still learning some of the traditions of Cardinal baseball, and a new one I’ve discovered is the Pizza Bowl. 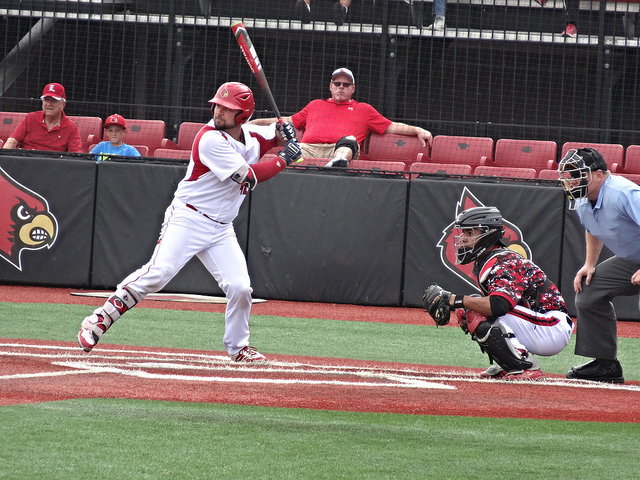 The Louisville baseball team splits into two squads for a five game series, with the losers serving pizza to the winners. This years series featured Strader’s Raiders against the Vrable’s Vikings. The Vikings took the first two game of the series, and we were in attendance for game three. Game three really looked like the Raiders were going to break into the win column, as they carried a 3-1 lead into the eighth inning. They were lead by catcher Zeke Pinkham, who hit a single, walked twice, and scored a run. Outfielder Ryan Summers and infielder Justin Levy each had one hit and one RBI. 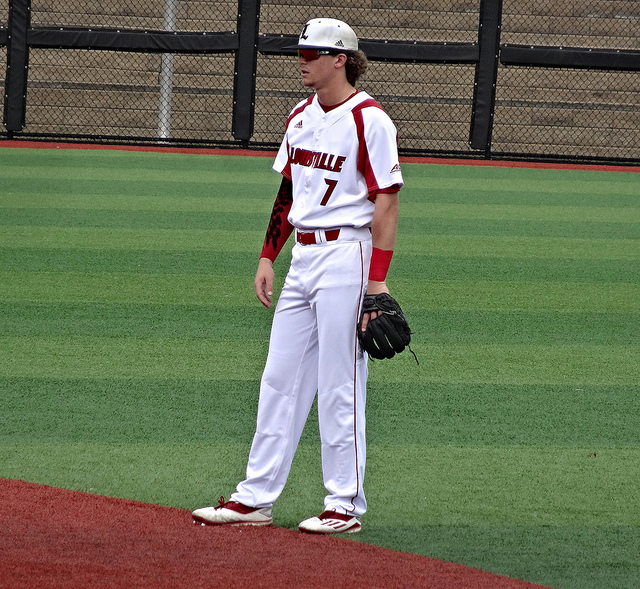 Freshman outfielder Ethan Stringer hit a solo home run, and Brian was able to snag that ball. The Vikings made their comeback in the eighth inning on three unearned runs. Outfielder Logan Taylor had an RBI single and scored a run to lead the Vikes offense. Colin Lyman and Danny Oriente each added and an RBI, also, with Oriente hitting and RBI single in the seventh as well. 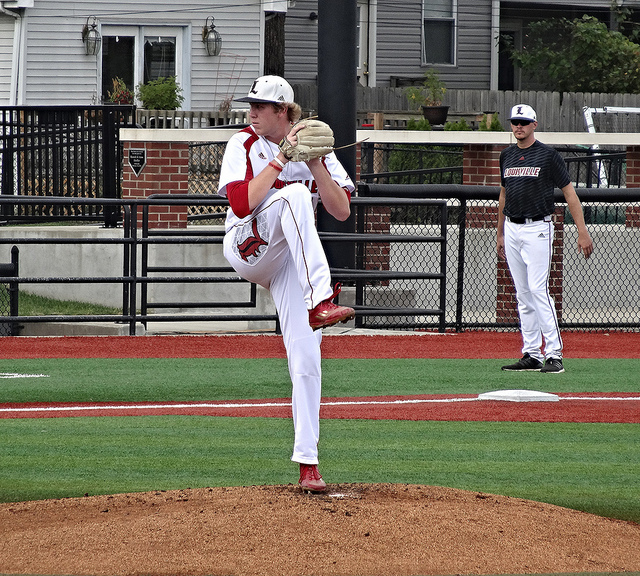 Starting on the hill for the Raiders, Michael McAvene earned a no-decision although he struck out six, walked one, and pitched six no-hit innings. 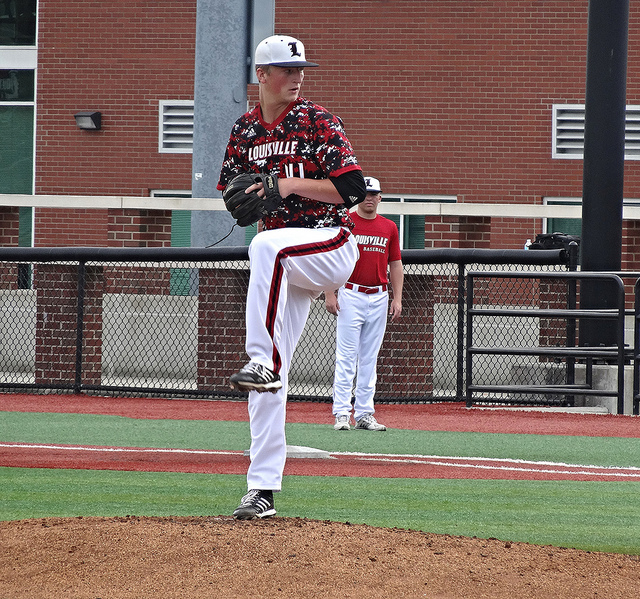 For the Vikings, Nick Bennett giving up just two runs on two hits while striking out four. FINAL: Raiders 5, Vikings 4. This was a fun day for the boys and I. 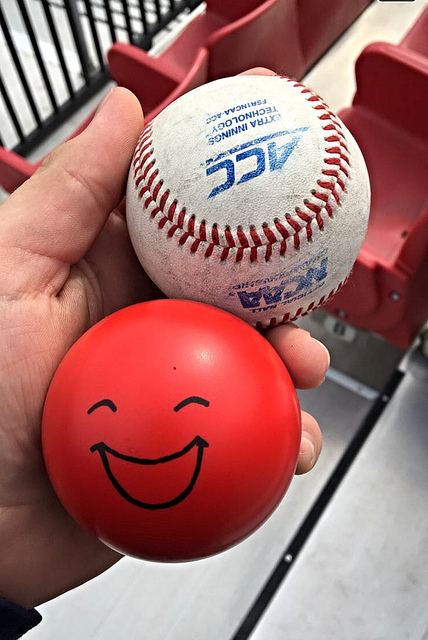 We also had a productive day, as Trevor got a foul ball and a stress ball. 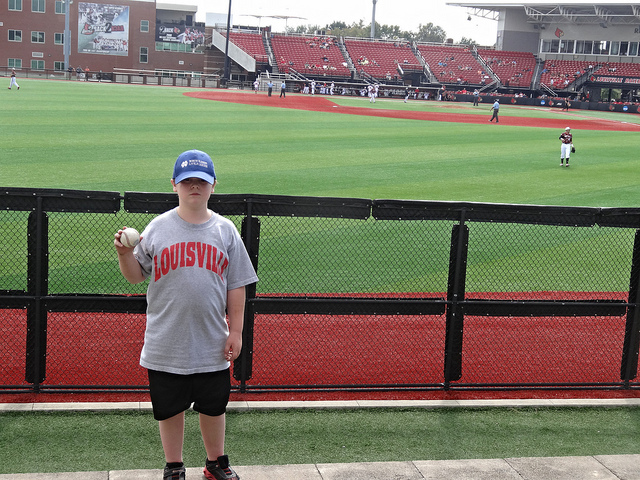 Brian was able to snag Stinger’s home run ball! This was our last ballgame of the fall, as the team split the last two games of the series, with the Raiders winning four games to one. 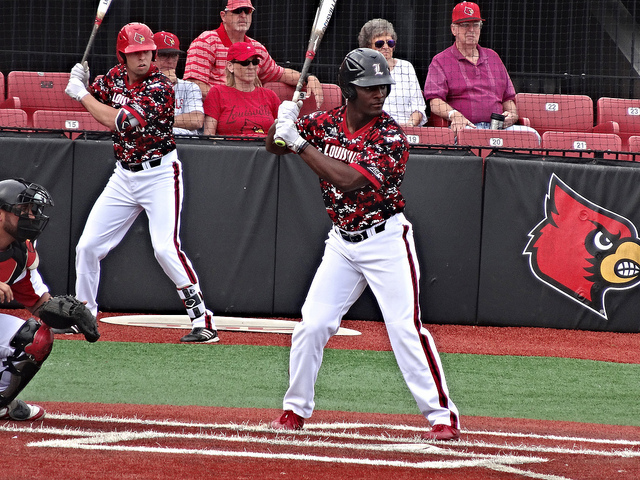 We look forward to the spring and more Cardinal baseball! 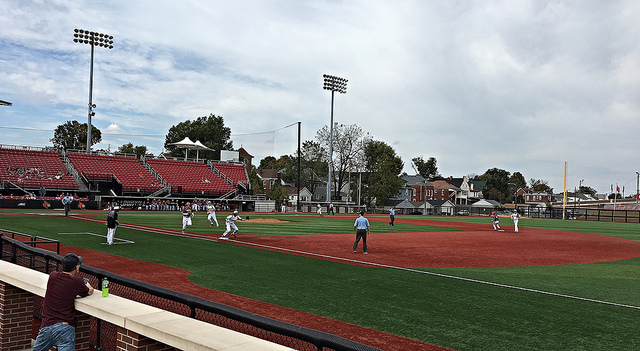 Also exciting news I learned from my buddy the Baseball Bloggess, is that Louisville will be hosting the ACC Baseball tourney next season, also, so I’m looking to get some vacation time for that!